Dr. Steven Lin is a board-registered dentist, TEDx speaker, and author of The Dental Diet. 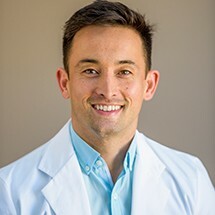 As a passionate preventative health advocate, Dr. Lin is focused on the nutritional basis of dental problems and why the mouth is key for preventing chronic disease. He has been featured in The Sydney Morning Herald, MindBodyGreen, and the British Dental Journal. Dr. Lin’s professional training program has taught functional and nutritional models to thousands of health professionals worldwide. The Dental Diet is the culmination of Dr. Lin’s personal and clinical work, as well as his background in biomedical science, modeling why oral health is the primary way we should be guiding our nutritional habits. You can visit him alongside 100,000 other people changing their health at drstevenlin.com and on social media: www.facebook.com/drstevenlin and www.instagram.com/drstevenlin.